A few weeks ago, I talked about our plans to catalogue the case files of disabled children. Today, I’d like to explain what we’re doing to physically preserve these case files and keep them readable and accessible for the future. Above are some photos to show what our early case files look like now. They’re stored in archival-quality boxes, which help to give them some basic protection, but as you can see, inside the boxes the files are in a bit of a sorry state. 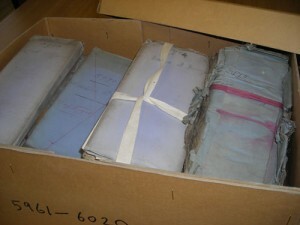 The blue covers are the original covers that the case files were stored in when they were created at the end of the 19th century. They’re quite small, which means that the case papers have been folded a number of times to fit inside them. For smaller case files, this doesn’t create too much of a problem, but for larger case files, the papers can be wedged in so tightly that it’s quite hard to get them out. In the photo above, you can see that the case file was so large that the cover has split and someone has tied it back on with red legal tape. Problems like this leave the documents unprotected and vulnerable, which has led to a number of the case files becoming battered and fragile over the years. 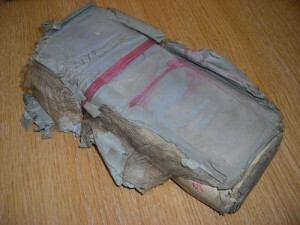 Left as they are, these case files aren’t very easy to use and are likely to only get more damaged over time. 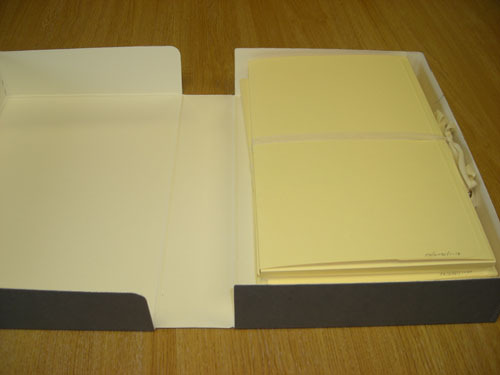 As part of the Including the Excluded project, we’re rectifying this by repackaging the case files into new, archival-quality folders with the help of a team of dedicated and enthusiastic volunteers. 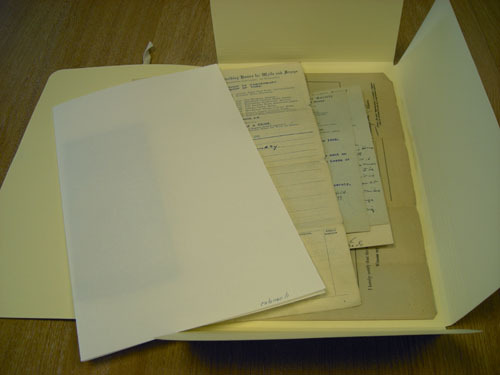 Above are photos of some case files that have been repackaged. To get to this stage, the case papers are taken out of their original covers and individually cleaned to remove the dust and soot that has built up on them over the years. They are then numbered and placed under weights for a time to help them unfold from their tight bundles. Finally, they’re put into new folders to better protect them. I can say from experience that the case files that have been flattened and repackaged are far easier to use, so many thanks to our volunteers for their help! This entry was posted in Including the Excluded and tagged Case files, Document preservation, Volunteers by Janine Stanford. Bookmark the permalink.